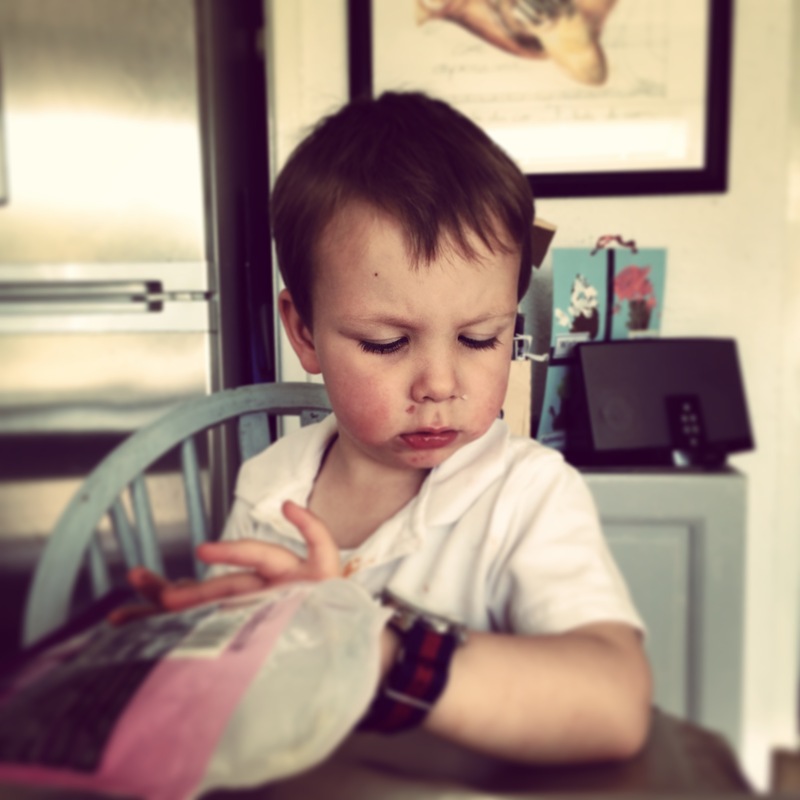 My son, wearing my outsized watch on his tiny wrist, showing the family trait of eloquent argument. You’re never going to win this one rhetorically. Fortunately he fits under my arm,.